Tesla and SolarCity? Yes, it makes sense. Or at least it will. Elon Musk announced last week that he wants Tesla, his electric-car company, to acquire SolarCity, the rooftop-solar company he helped found and now serves as chairman. Even assuming the merged company could get past its short-term challenges, its long-term fate rests on policy and regulatory decisions it can’t predict or determine. It’s a merger based on hope. Tesla currently offers electric vehicles and energy storage solutions for homes, businesses and utilities. But while Tesla already has a close relationship with SolarCity, Musk made the case that there are efficiencies to be gained by formally combining the two entities. Setting aside market concerns for a moment, what would Musk’s vision actually look like? China is rethinking its urbanization. In February, national authorities adopted new urbanization guidelines that should, over time, lead to more compact cities with denser networks of narrow streets, more pedestrian and cycling lanes, better public transport, mixed-use zoning, and more green space. Many neighborhoods within China’s major cities provide home-grown examples of urbanization done right. The Department of Energy is usually a supporting player in international efforts to contain warming, but it steps into the spotlight later this month to host the Clean Energy Ministerial (CEM) in California. The 24-country event in the San Francisco Bay Area marks the first time energy ministers will come together to swap clean power and efficiency ideas since last year’s landmark Paris climate deal. Over the past decade, China has been undergoing the biggest adoption of alternative fuels for transportation, ever. This transition isn’t being led by green cars like the Tesla or the new lines of “eco” buses, but by e-bikes — electric bicycles. As renewable energy becomes increasingly urgent, nuclear energy shouldn’t be discounted. In fact, it should be embraced according to Andy Karsner, managing partner at Emerson Collective and a senior strategist at Google’s moonshot lab. When utilities and grid operators think about power system flexibility — the ability of the grid to respond to sudden changes in supply and demand — two technologies typically get the most attention; fast-ramping natural gas and battery storage. However, there are a number of cheaper options for grid flexibility that stakeholders would do well to explore. Gas has played a big part in stabilizing US emissions, but its days as a ‘bridge fuel’ are numbered. 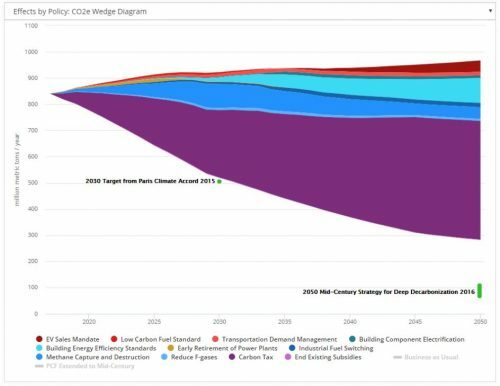 While utilities can meet their current regulatory goals by building out natural gas generation, they will soon have to start using less of it to meet long-term national goals for zero net emissions. Recently, the Minnesota Public Utilities Commission discussed performance-based regulation (PBR) with Sonia Aggarwal, Director of Strategy at Energy Innovation. Jennifer Christensen interviewed Ms. Aggarwal and posed some questions that are central to understanding this alternative to traditional regulation. Governor Jerry Brown is drafting his own proposals to extend California’s cap-and-trade program, attempting to gain a two-thirds majority vote while assuaging industry and environmental campaigners. “The outlines of the deal… sound very positive, and will leave CARB significant scope to continue to improve the programme over time,” said Energy Innovation’s Chris Busch.